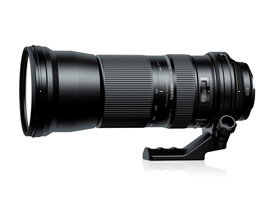 Aimed at wildlife, bird and action photographers, the newly designed super-telephoto Tamron 150-600mm f5-6.3 Di VC USD zoom looks to be a promising update to the non-stabilized 200-500mm f5-6.3 Di LD [IF] (A08) model it replaces. As well as the longer range and built-in stabilization the new model also features an ultrasonic type AF motor and adds the firm’s new eBAND (Extended Bandwidth & Angular Dependency) coating to their existing BBAR (Broad-Band Anti-Reflection) coatings to reduce flare and ghosting. The new model boasts a complex optical construction consisting of 20 elements in 13 groups including three LD (Low Dispersion) elements to reduce CA as well as a 9 blade circular aperture for softer transitions to out-of-focus areas. Measuring 10.1 in (257.8mm) and weighing 68.8 oz (1,951g) the new model is just over 1-inch longer but around 60% heavier than its predecessor. The earlier iteration also focused to just 98.4 in (2.5m) whereas this lens has a minimum focus distance of 106.3 in (2.7m) although both are quoted as having a magnification ratio of 1:5. Priced at $1,069, the new lens is available in Canon mount only to begin with, though Nikon and Sony A mount versions will follow. As a full-frame lens we’ve analyzed the image performance on the Canon EOS 5D Mk III where it achieved a DxOMark lens score of 17 points overall. 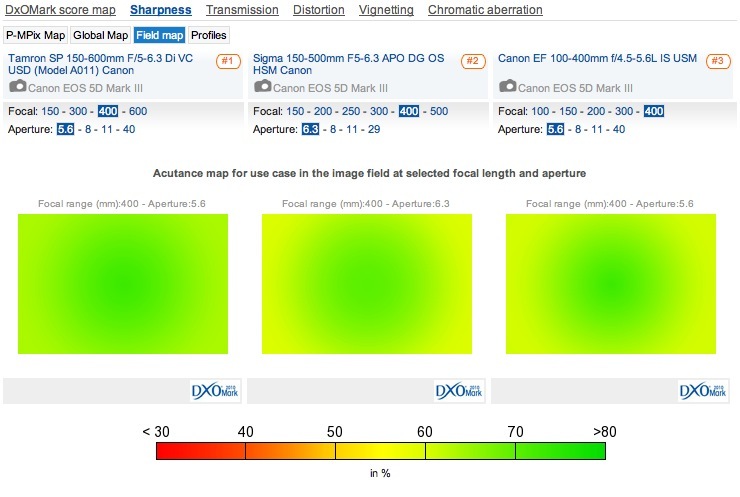 Although the lens is well corrected throughout the zoom range, like others, sharpness drops off gradually towards the longer-end of the zoom range. However, stopping down from the maximum at f6.3 to f8 improves sharpness at 600mm significantly. Chromatic aberration is well-controlled at most focal lengths but it peaks at f8 at 600mm, albeit at a still reasonable 9.4 micrometers in the extreme corners. Sharpness falls from around 400mm. Note the drop in sharpness at the maximum aperture at 600mm. This lens is more likely to be used in conjunction with an APS-C format body where it’s the equivalent of a 240-960mm f5-6.3. 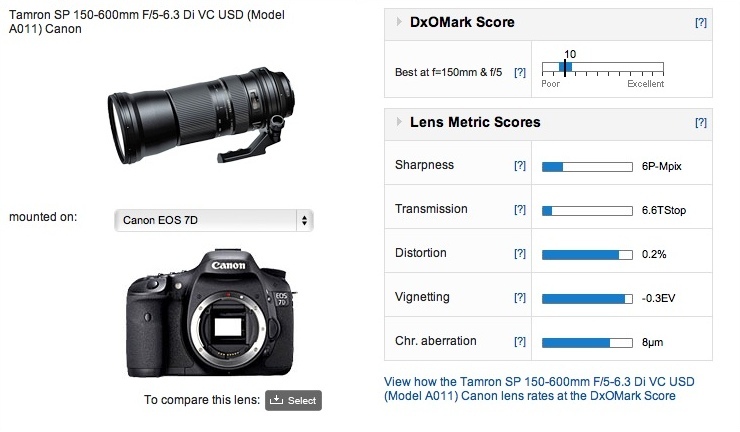 On the Canon EOS 7D the lens achieved a DxOMark score of 10 points overall. Sharpness is lower throughout the zoom range, unfortunately, and it drops significantly over the 400mm to 600mm range. Vignetting and distortion are lower as you might expect, but lateral chromatic aberration is slightly higher at the maximum focal length. Sharpness is somewhat disappointing throughout the zoom range on the Canon EOS-7D, and as with the EOS 5D Mk III it drops noticeably from 400mm onwards. 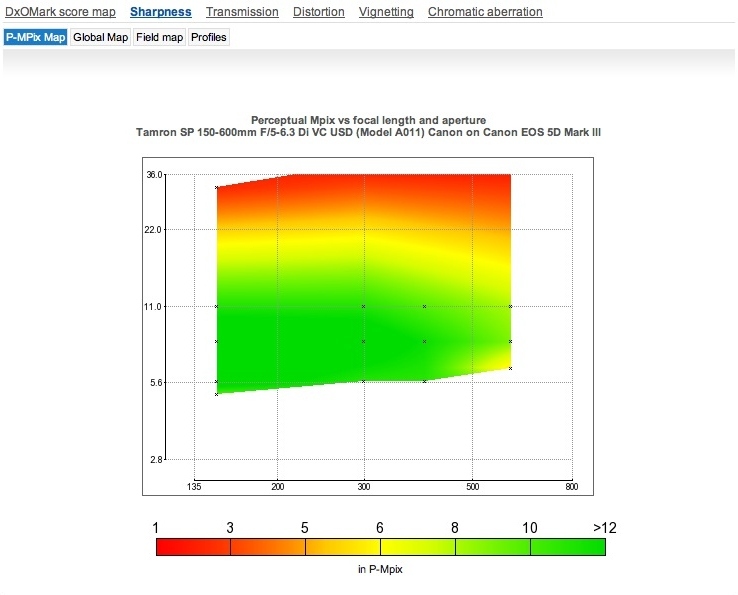 Compared to the slightly shorter range though otherwise similarly specified Sigma 150-500mm f5-6.3 APO DG OS HSM the new Tamron model is ahead in overall IQ and has higher peak sharpness. That’s a real achievement considering the more extreme zoom range. The two are similar in performance up to 300mm but after that the Tamron is slightly ahead across the image field. Though it’s softer across the frame at 600mm than the Sigma is at 500mm. Against the Canon, the Tamron is, surprisingly, slightly sharper between the 150-300mm focal lengths, though there’s not much in it at 400mm – the Canon is sharper centrally though the Tamron has the slightly better uniformity across the field. However, the Canon has heavier vignetting at 400mm and noticeably more lateral chromatic aberration in the corners. Wide-open at 400mm, the Tamron is slightly sharper across the image field than either the Sigma or the Canon. 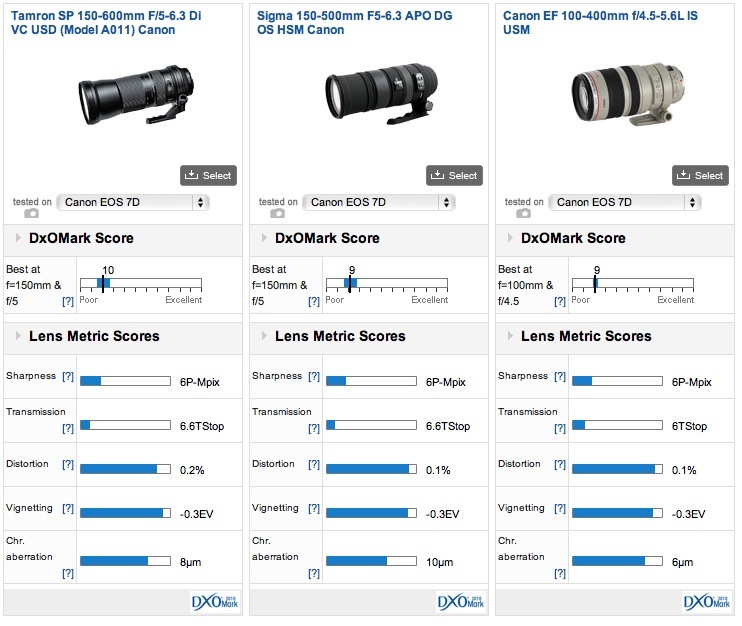 The same three lenses tested on the Canon EOS 7D reveal similarly that the Tamron is the better performer overall. However, there isn’t much between them. Peak sharpness is pretty much the same, though at 400mm the Tamron maintains the edge in sharpness (predominantly in the outer areas of the frame) that was seen on the Canon EOS 5D Mk III. Both the Tamron and Sigma have somewhat disappointing sharpness (at least compared to the Canon EOS 5D Mk III) at their maximum focal lengths, however the Canon’s sharpness at 400mm is still good, at least in the centers of the frame (the periphery is noticeably lower). The Canon also better control of CA than the Tamron when compared at 400mm, but it has slightly higher vignetting albeit not particularly noticeable. Open aperture performance is less impressive on the Canon EOS 7D at 400mm with the Canon lens leading slightly in sharpness centrally, although the Tamron has good uniformity. Unfortunately, sharpness degrades beyond this focal length. 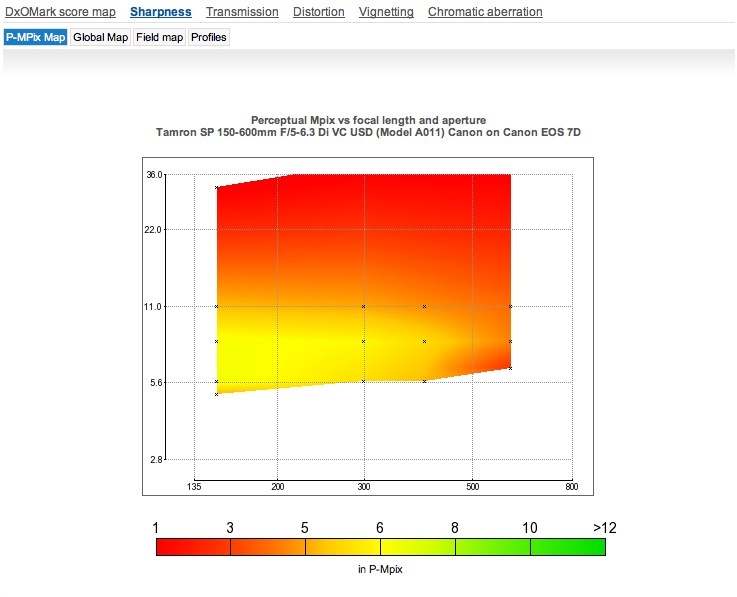 If Tamron built this lens to outperform the Sigma offering then they succeeded with full frame cameras. The gain in performance over their rival’s offering is less noticeable on the APS-C cameras. 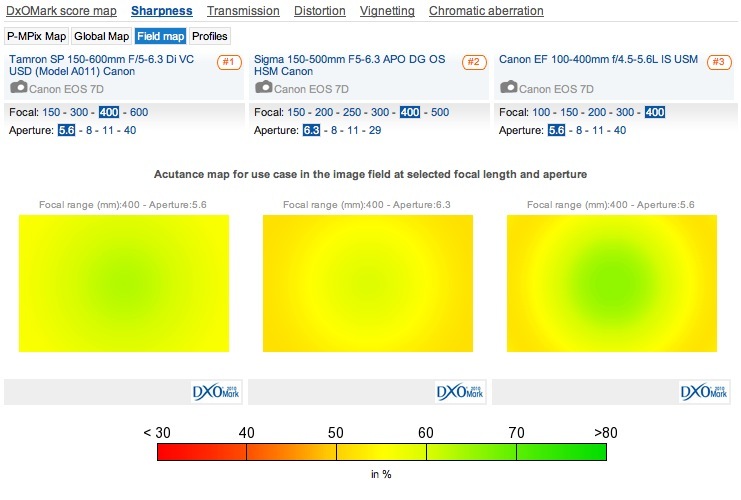 Despite that, the image quality is a slight improvement over the Sigma. Given the longer range and similar price, it’s a pretty impressive achievement. The Tamron even outperforms the pricier Canon lens on the full frame Canon EOS 5D Mk III though it’s less convincing when compared with the Canon EOS 7D. There’s likely too little in it to switch but for first-time buyers the new Tamron is attractive proposition.